If your Toyota car is hard to start and/or has dim headlights when the engine is turned off, your battery is getting weak and should be replaced with a new Toyota TrueStart™ battery. Manufactured to Toyota’s exacting standards for quality and performance, these batteries offer the right combination of cold cranking amps (CCA) and reserve capacity (RC) for reliable performance regardless of climate. Toyota TrueStart™ batteries have been approved by Toyota engineers for years of trouble-free service – and no one knows your Toyota better than they do. 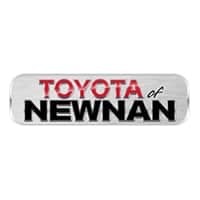 Schedule your appointment at Toyota of Newnan to have your battery serviced or replaced. We will also properly dispose of your old battery to conserve our environment!